Kaltura CaptureSpace is another product new to our survey, which currently consists of a desktop recording software tool integrated into Kaltura’s MediaSpace video portal (it can be integrated with other LMS product lines as well). Kaltura CaptureSpace plus the Kaltura back end allows users to create rich media content locally on their desktops and publish and share videos without having to rely on a centralized infrastructure for processing. Kaltura has a partnership with Collaaj, and it appears the Kaltura Capture Space recorder is essentially a re-branded version of the Collaaj recorder. 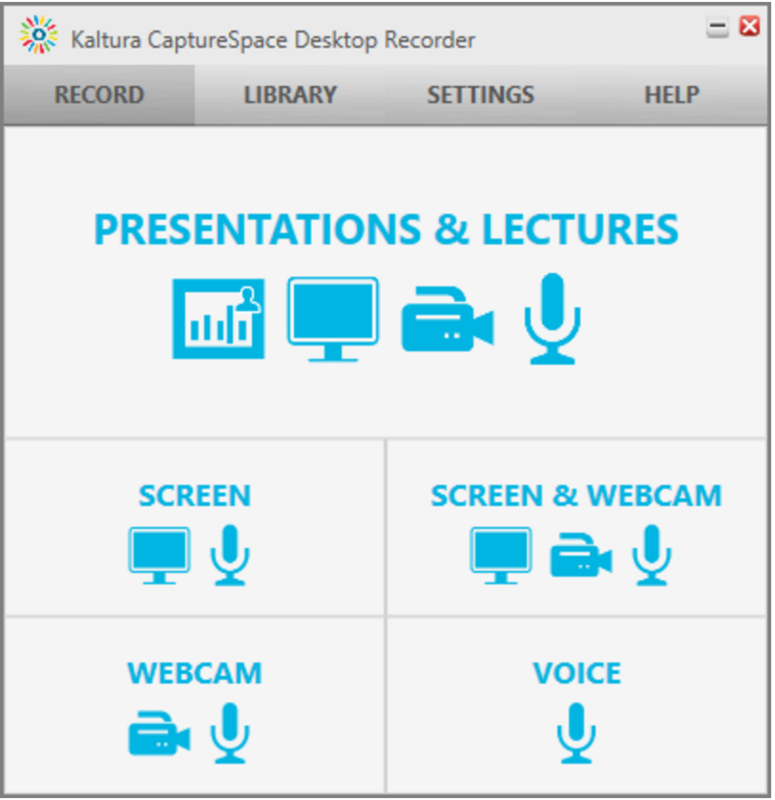 Using Kaltura’s MediaSpace as an example, when a user wants to add a new recording, they simply select the Add Media option in MediaSpace, and the CaptureSpace Desktop Recorder is automatically launched. From the pop-up window, the user can choose to record new media among five different variations from voice only up to presentations and lectures using three video input, presentation and audio. Also, the user can see their recording library along with the ability to update their settings for video and audio. Once the recording is created, the user can customize it by editing, adding bookmarks, tags, as well as uploading additional slides. From the end-user perspective, the interface is very interactive with multiple viewing options, like movable PIP and content, as well as being able target sections of the recordings using an interactive navigation menu. The end-user is able to search and advance to any spot in the presentations by automatic text extraction. Duke recently moved away from Kaltura for on-demand video publishing and secure sharing both within our LMS (Sakai) and as as stand-alone solution. We are currently using Warpwire (http://www.warpwire.com/) for these needs. The idea of sending lecture capture content directly to Warpwire so that it can be managed there is intriguing, though we are currently satisfied with Panopto’s rich capture options and content management framework. 2016 Lecture Capture Survey is powered by WordPress at Duke WordPress Sites. Please read the Duke Wordpress Policies. Contact the Duke WordPress team.